Bike shipping, servicing & rental by Bob’s Bicycles. NASA prohibits bicyclists on their paved public roads (SR. 406/402, SR 3) on Monday-Friday 6 am-9 am AND 3 pm – 6 pm. NASA posted signs at all of their entrances, but they are easy to miss. There are not prohibitions on weekends for bicyclists, although there is a lack of road shoulders and the posted vehicle speed is high. There are not specific regulations on cycling on SR 405, but use caution as it is an open road with tourist and local traffic and little shoulder areas. Will family/friends would be allowed along the course? Spectators will be allowed for the swim and run portions of the course, but they will not be allowed on the space center for security reasons. They may view the bike from transition areas and near the Astronaut Hall of Fame, but spectators will NOT be allowed on State Road 405. Visit the Spectator Viewing page for more. Are there alligators in the area? Alligators are occasionally seen in the Indian River (salt water) but are not regularly seen there. We will have lots of police and water patrol and lifeguards and will be cognizant of the potential for alligators but are not overly concerned with the issue. You may, however,likely encounter manatees and porpoises. The race will officially end 7 hours after the last wave starts. the swim course will close at 9:30am. Can I use my beach cruiser? Beach cruisers are not allowed, as it would be difficult to maintain our minimum 14mph speed requirement. You can however, rent a road bike from Bob’s Bicycles (link above). Is there an elite division? Will there be shuttles on the pads? NASA retired the shuttle fleet in 2011. Shuttles are located in museums around the country, including Atlantis which is on display at the Kennedy Space Center Visitor Complex. Water conditions will be similar to a large lake, with potential surface chop and little or no current. The water temperature should be in the low-to-mid-70s. Water depth is 3 to 14 feet deep on the swim. Average depth is 8 feet for international and 70.3 distance swimmers, and an average of about 5 feet for Classic + swimmers. All swimmers will have to wade about 100 yards to the swim start and then run back the same distance after the swim to reach the shore. At what temperature can I wear my wet suit? 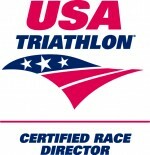 Each age group participant shall be permitted to wear a wetsuit without penalty in any event sanctioned by USA Triathlon up to and including a water temperature of 78 degrees Fahrenheit. Age group participants shall not wear wet suits in water temperatures equal to or greater than 84 degrees Fahrenheit. The wetsuit policy for elite athletes shall be determined by the USAT Athletes Advisory Council. The AAC has set the wetsuit maximum temperature for elite/pros at 68 degrees for swim distances less than 3000 meters and 71.6 degrees for distances of 3000 meters or greater. What is the water temperature? Averages around 72 degrees in November. Why is your entry fee pricing higher than most other area triathlons? Additionally, with this being a secured government facility, we are required to have a higher than typical number of medical ,safety and security personnel and vehicles on the KSC portion of the bike course and on the run course as the entire run course is on NASA property. A significant part of the entry fee is due to our agreement requirement to buy a full price Kennedy Space Center Visitor Center tour ticket ($53.25 retail value) for each entrant who rides onto the secured grounds of the Kennedy Space Center. So, my entry in the Rocketman Florida Triathlon includes a Free ticket to the Visitor Center and a bus tour? Do Relay team members also receive a ticket for the tour? One KSC tour ticket will be given to each relay team. That ticket is intended for the person doing the bike leg of the relay but may be used by any member of the team. Bike check in is highly recommended on Saturday to avoid excess congestion on race morning – On Saturday during packet pick up hours. What if I leave my ID at home on race day or packet pickup? No identification means you cannot race! What time does transition area open up on race morning? Transition opens at 5am. ONCE YOUR BIKE IS PARKED, YOU WILL NOT BE ABLE TO TAKE IT OUT OF TRANSITION. What time should I arrive? Transition opens at 5 am and closes at 6:45am. What time do I start swimming? Official wave start times will be available about two weeks prior to the event on the Wave Start Times page.